Microsoft today unveiled the Surface Pro 3, a 12-inch tablet that aims to replace your laptop. 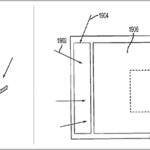 It’s a fact that it has all of the necessary elements to do that: It is 30% thinner than an 11-inch MacBook Air, it has a bigger display, it comes with a continuous kickstand, you can attach a Surface Pro Type Cover, and it also has a Surface Pen — included (or maybe a pen-shaped mouse?). The Microsoft Surface Pro 3 runs Windows 8.1 and features a large 2160 x 1440 2K colour-calibrated screen and 3:2 aspect ratio, and it is powered by a 4th generation Intel Core i3/i5/i7 processor and 4 GB or 8 GB of system memory options. Its storage capacity ranges from 64 GB to 512 GB. The device measures 7.93 in x 11.5 in x 0.36 in and weighs 1.76 lbs, and it comes with multiple ports: full-size USB 3.0, microSD card reader. 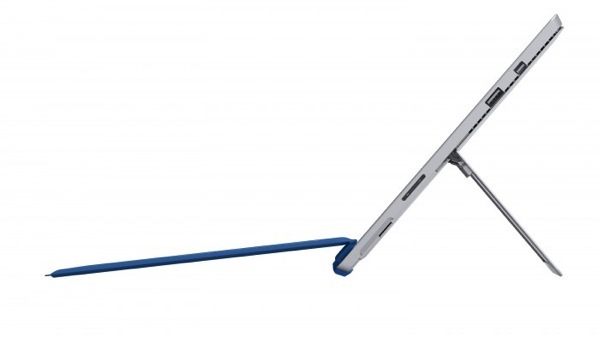 Alongside the new Surface Pro, Microsoft unveiled the continuous kickstand featuring a friction hinge that allows users to pick any angle from zero to 150 degrees. There will also be a docking station as well, available in the next few months. According to the Microsoft press release, the Surface Pro 3 has a battery life of up to 9 hours (of web browsing), which is 10% better than the Surface Pro 2. 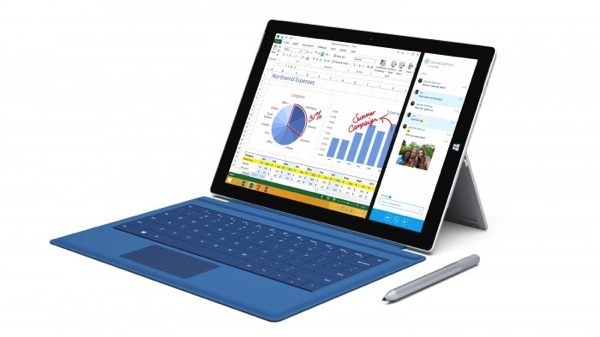 As for the price, the entry-level Surface Pro 3 with Intel Core i3, 64 GB, and 4 GB of RAM costs $799. Now, if we add the Surface Pro Type Cover cost of $129.99, we have a 12-inch tablet-laptop hybrid for $928.99. Now add Office to the costs, because it is sold separately. In addition, we must note that the high-end Surface Pro with Intel Core i7, 512 GB, and 8 GB of RAM costs $1,949. Surface Pro 3, Surface Pro Type Cover and Surface Pen will be available for pre-order starting May 21 at 12:01 a.m. EDT through Microsoftstore.com, Microsoft retail stores and select third-party retailers. Beginning June 20 in Canada and the US, customers will be able to purchase Intel® Core™ i5 Surface Pro 3 and select accessories from Microsoftstore.com, Microsoft retail stores and select third-party retailers. Additional configurations will become available during August, and additional accessories will be available in the next few months.